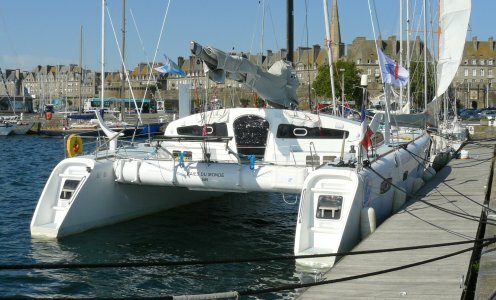 1st Malo Trophy took place from 27 to 29 July 2007. This trophy was organized to promote the class of 50-feet multihulls. 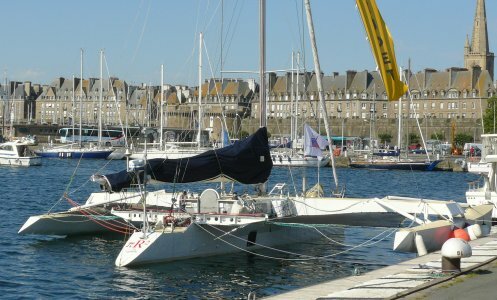 These boats have the advantage of being much cheaper than the 60-feet ORMA class which is "in agony". 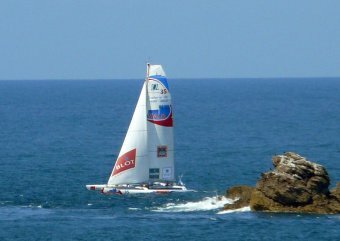 The Malo Trophy brought together a dozen multihulls. 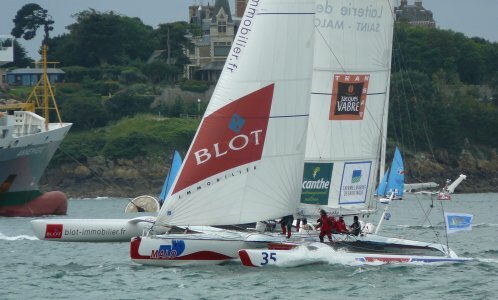 Among these, the three vessels from St-Malo have nothing left to their opponents by taking the first three places. 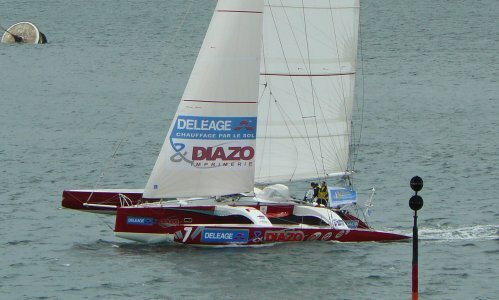 3 times winner of the Route du Rhum in his class, he won all the races of the Malo Trophy. 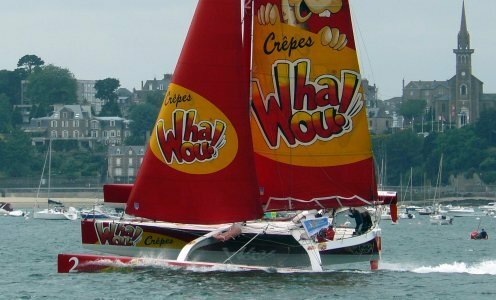 photo: Crepes Whaou! 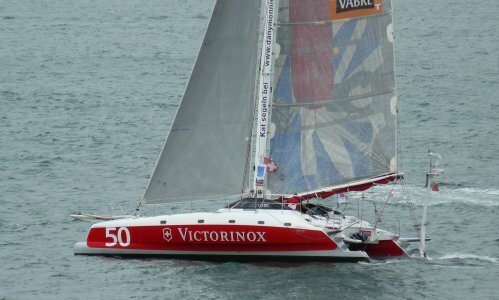 crossing the finish line on one hull the 27 July. 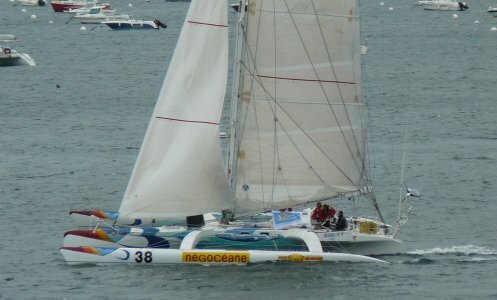 photo: Laiteire de Saint-Malo crossing the finish line the 27 July.